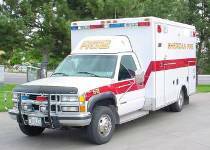 Denver Health provides paramedic and transport services. Paramedics are equipped to provide advanced life support measures and are in contact with local hospitals. They are on duty 24 hours a day, seven days a week. Additionally, Denver firefighters are all qualified as Emergency Medical Technicians (EMTs), which provide basic life support services. Generally, the paramedics will transport individuals as needed to Swedish and Porter Denver Hospitals. Fee charges apply to all transports and vary based on need and treatment. In most cases, insurance will cover these fees. For more information about fees and billing, please contact the company that provided that transport and care.